Well, this can’t be good. Beyoncé and Jay Z may be America’s favorite couple, but the latest revelations suggest they might not be a couple for much longer. The hip-hop power couple just purchased separate grave plots. Say it ain’t so! Is Queen Bey about to say goodbye to Jay? 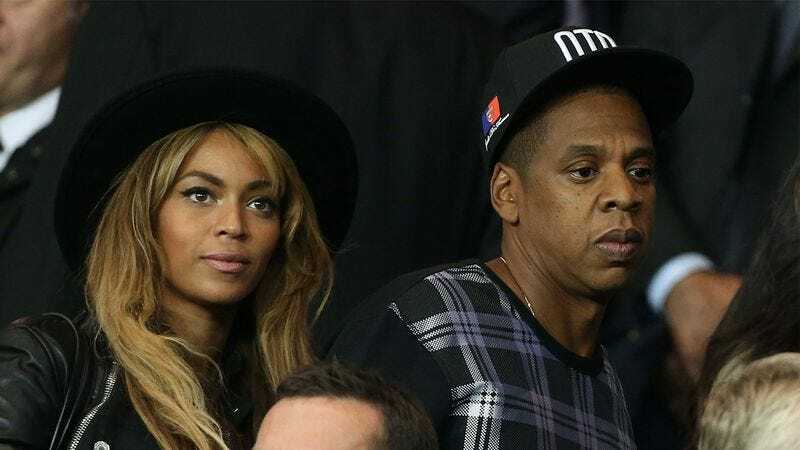 We all want to believe that Beyoncé and Jay Z really are “Drunk In Love,” but the fact that they went to the trouble of getting two separate graves instead of just one seems to suggest that the two music moguls are planning on spending some serious time apart. Hmmm…does that sound like a happy couple to you? They haven’t made a public announcement yet (THANK GOD), so there’s a chance that this is just a temporary measure and that they will WORK. THINGS. OUT. But as of now, Bey and Jay do NOT want to be buried in the same hole. And we are seriously about to cry.